Lightning strikes are a common occurrence which QuakeFinder sites can detect. 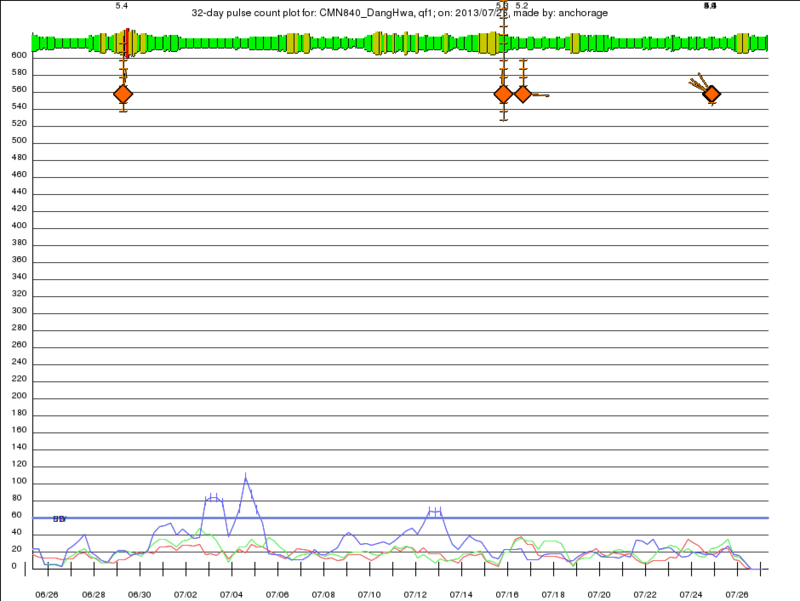 Unfortunately, a lightning strike looks very similar to the earthquake pulses that we look for prior to large quakes. The rise time of a lightning strike’s magnetic component is faster, and the lightning pulse duration is shorter than the ground-based magnetic pulses. Utilizing information provided to us by our friends at Earth Networks, we also have independent confirmation for lightning strikes. They generously donate daily lightning event files for the entire planet. We are tuning our algorithms to sort through these large files to select the strikes at an appropriate distance from each of our 140 sites to “mask out” the suspect pulses. The remaining pulses are then counted for analysis of pre-quake activity. In addition to contaminating our data, lightning can actually damage our equipment. Our site in Hangshen, Taiwan was hit by lightning which fried all the electronics and damaged the battery. This site is being replaced this month in addition to two new sites installed in Taiwan. Earlier this month, a lightning strike destroyed a 120VAC surge suppressor feeding our site in Pt. Arena, California. Tim, the site owner at that location, identified the problem and quickly replaced the surge suppressor. Thank you Tim! We appreciate all our site owners for allowing us to use their land and assisting with minor maintenance.